Cut each eggplant into about ½-inch (1-cm) thick round slices. Arrange the slices in a single layer on a baking sheet lined with paper towels. Sprinkle the eggplant with half of the coarse salt. Flip the slices over and sprinkle with the rest of the salt. 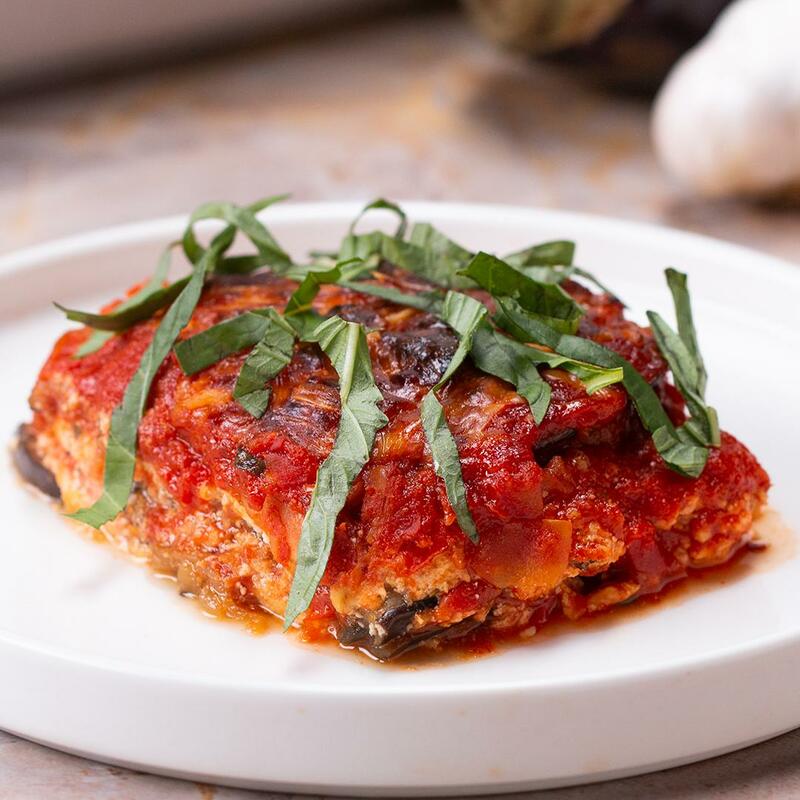 Put another baking sheet on top of the eggplant and place something heavy, like a cast-iron skillet, on the top baking sheet to help release moisture from the eggplant. Let sit for 30 minutes. 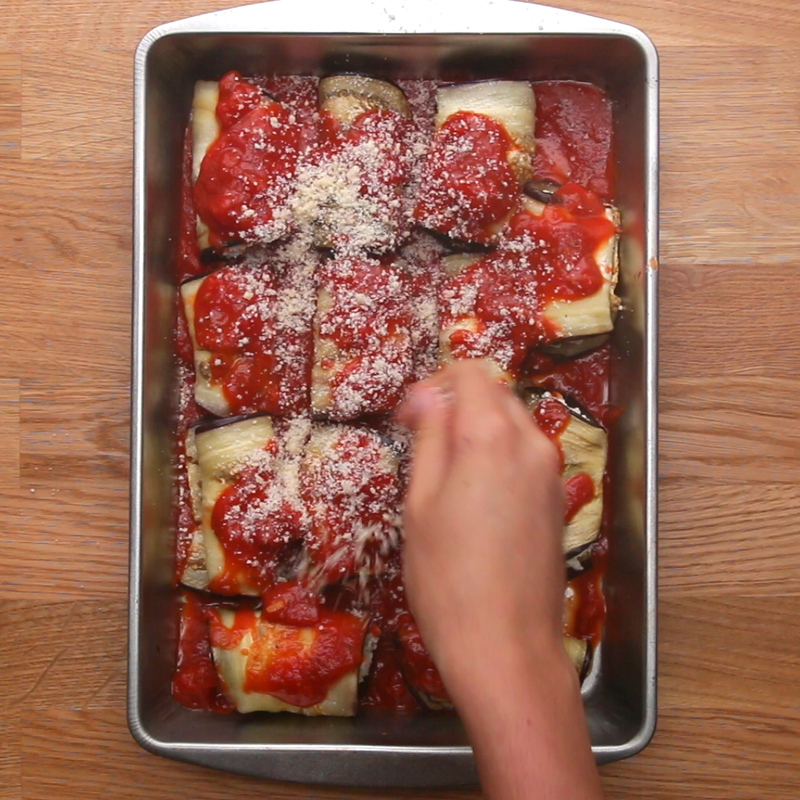 Uncover the eggplant slices and pat dry with paper towels. Brush most of the salt from the eggplant with a paper towel, then transfer to a medium bowl. Set aside. In a separate medium bowl, combine the flour, oregano, basil, garlic powder, and pepper. Mix well. Heat the vegetable oil in a large frying pan until it reaches 375°F (190°C). 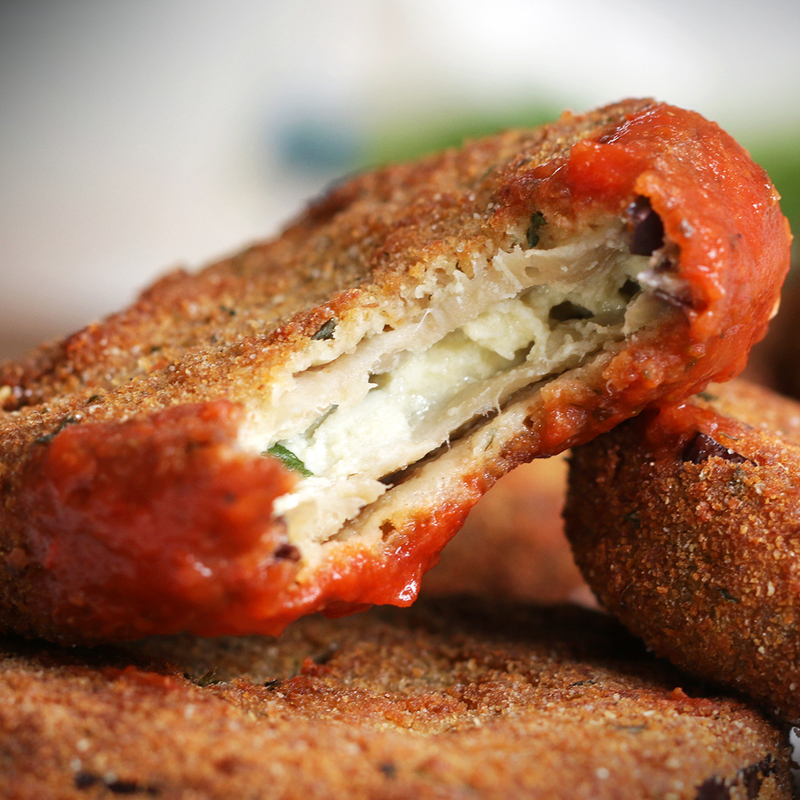 Coat each eggplant slice in the flour mixture, shaking off any excess flour. Fry the eggplant in batches until golden brown on both sides, 2-3 minutes per side. Drain on a paper towel-lined baking sheet and pat dry using more paper towels to absorb excess oil. 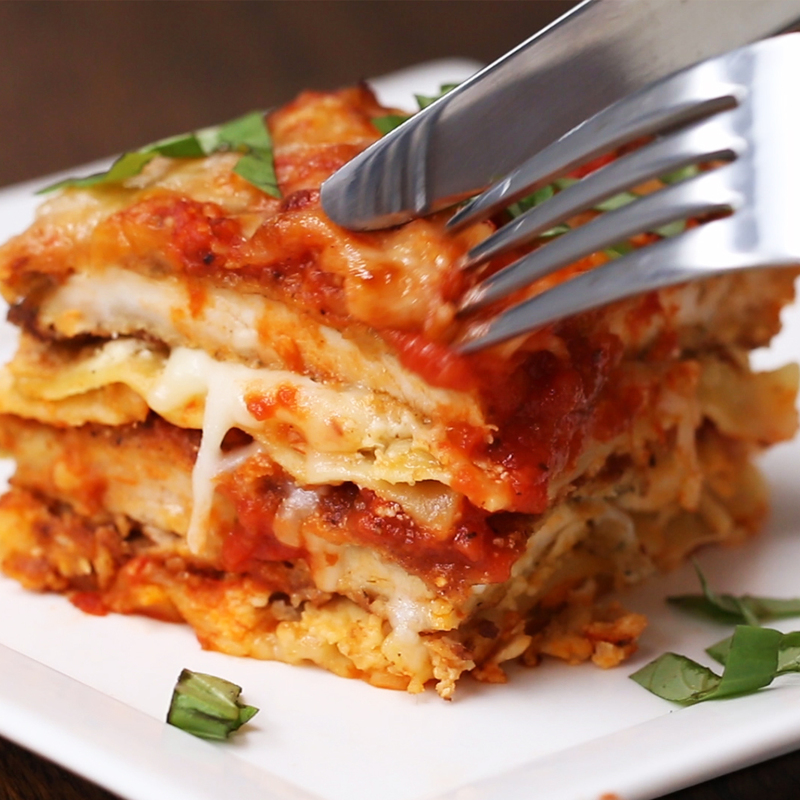 Pour about 1 cup (260 g) of marinara sauce into a 2½-quart (2 L) baking dish and spread evenly to cover the bottom of the dish. 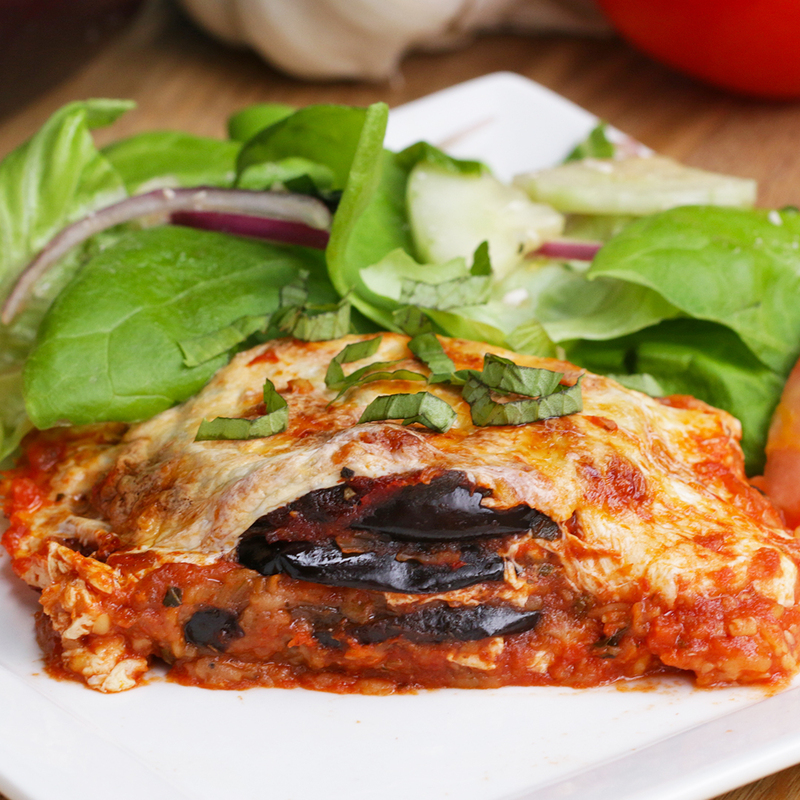 Add about 8 eggplant slices (it’s okay if they overlap) and cover with ½ cup (130 g) of marinara. 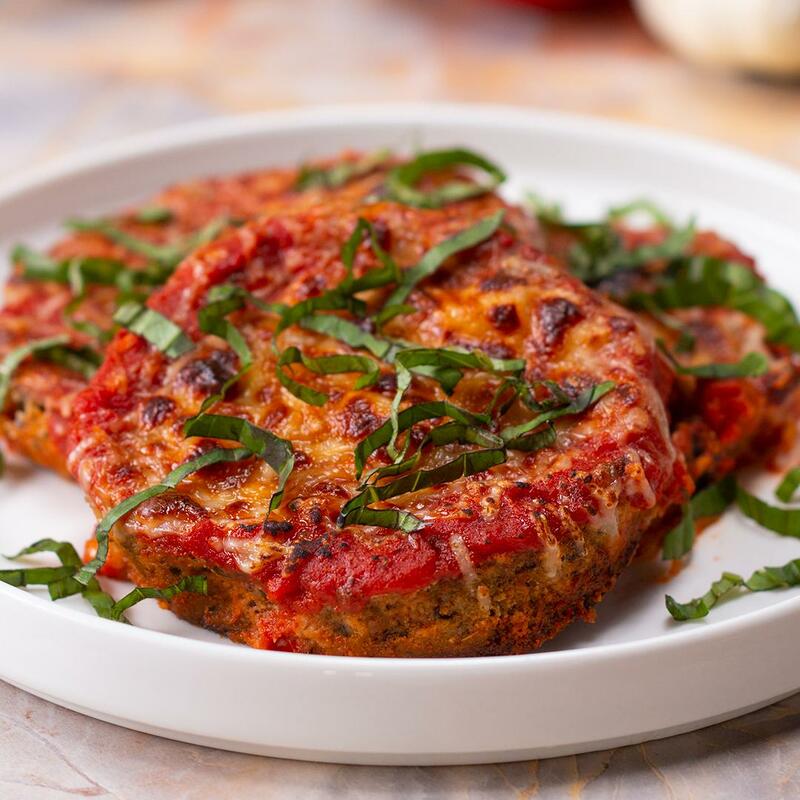 Sprinkle with a third of the fresh basil, then top with about a third of the shredded mozzarella and Parmesan. Repeat to make 2 more layers. 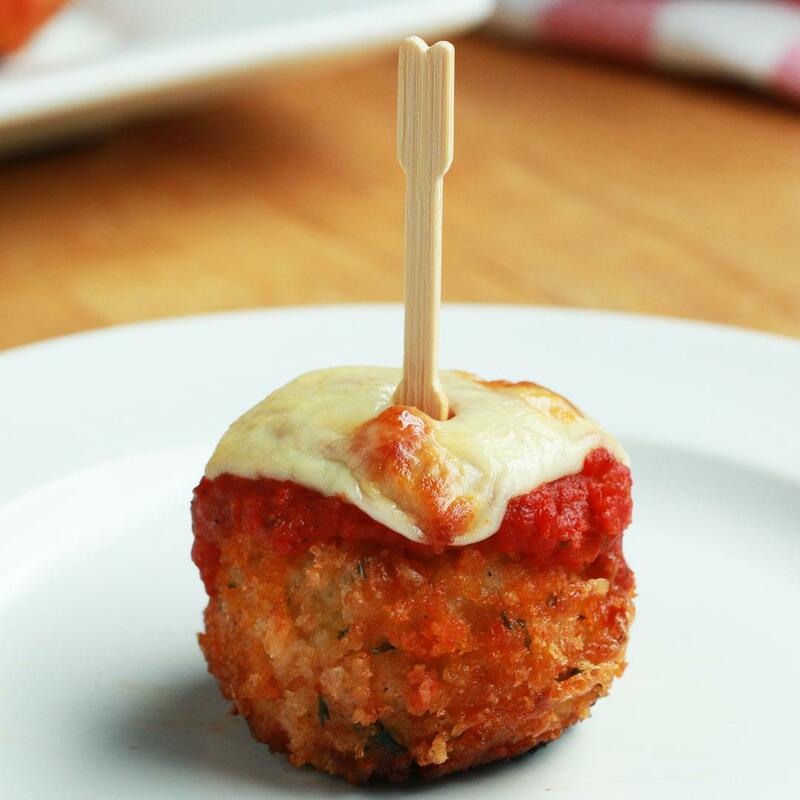 Finish with the fresh mozzarella cheese and a final sprinkling of Parmesan. Bake for 30 minutes, until the mozzarella is bubbling and golden brown. Let cool for 10 minutes, then serve garnished with fresh basil. This was a great recipe! Turned out great. I did modify it a little. I used extra virgin olive oil instead of the vegetable oil and didn’t use as much oil as the recipe suggested. I also added some garlic to the marinara sauce. I sautéed the garlic in a separate pan with olive and let it simmer for a short time before it was brown and added it. YUM!!!!! I grilled the eggplant instead of frying and it was great this way too. This is a great recipe. The key is to use a good marinara sauce. This is the second time I make it. Also, let it rest after taking it out of the oven, so it sets. Do follow the eggplant prep as indicated. It’s tea yummy! it was super good!! try it!